Cost: $5 per class. Due on the day of class. If paying by check, please make out to Maddie Giardina. Come explore the art of ceramics. Students will learn and practice various hand-building clay techniques to final pieces that are glazed and fired. Cost: $3 per class. Due on the day of class. If paying by check, please make out to Maddie Giardina. 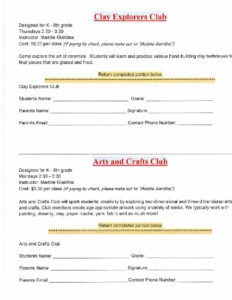 Arts and Crafts Club will spark student’s creativity by exploring two-dimensional and three-dimensional arts and crafts. Club members create age appropriate artwork using a variety of media. 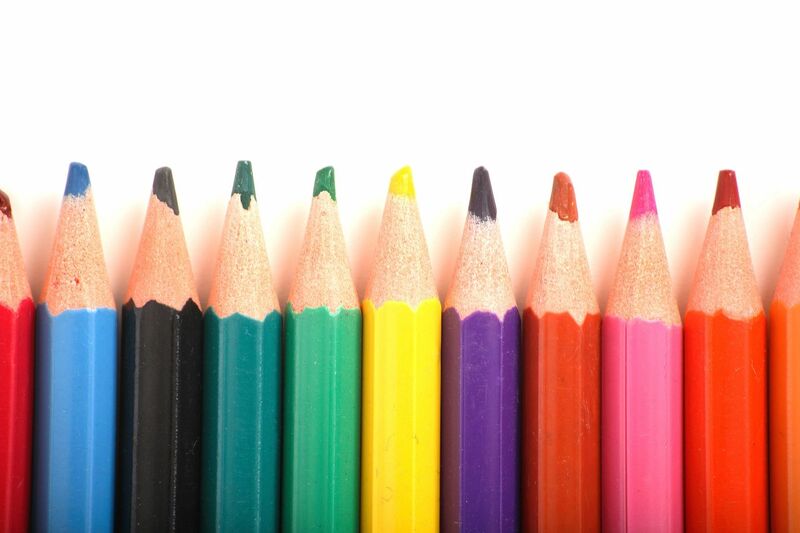 We typically work with painting, drawing, clay, paper mache, yarn, fabric and so much more!